Originally a locally owned sportsbook, Bookmaker.com.au entered the Australian online sports betting arena in February 2012, and thanks to their unique range of products, attractive joining bonuses and easy to use website it wasn’t long before for the Brisbane based bookmaker had built up a solid base of customers. 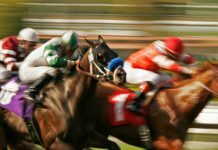 But with their success being so rapid the big overseas operators quickly took interest and in September 2013 the Bookmaker brand was acquired by British wagering giant Ladbrokes Plc. Since the takeover they have made a number of positive changes especially when it comes to betting on overseas sport. Their website remains one of the most user friendly on the market and they continue to offer a great range of innovative products like “Pick Your Own Odds” and the “Daily Free Bet Challenge” but sadly they are no longer unique. When we look at their betting markets, odds, products and special feature’s their sister sites Ladbrokes and Betstar are now offering exactly the same, plus a little bit extra. And while their bookmaking partners also provide punters with far more regular promotions and betting specials it’s hard to recommend betting with Bookmaker over the other two. Still, for those casual punters and racing enthusiasts who enjoy taking part in tipping competitions it is certainly worth having a Bookmaker account as they provide the prizes for a great weekly comp. 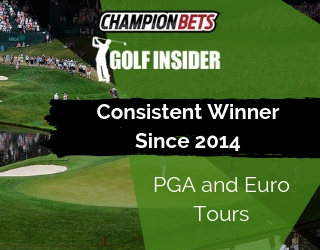 The competition is free to join and you can sign up through Champion Picks. 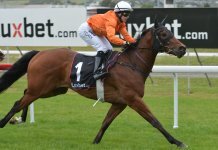 Weekly Tipping Comp ~ The competition is free to join but you need a Bookmaker account to claim one of 20 prizes given away every week which includes a first prize of $100. 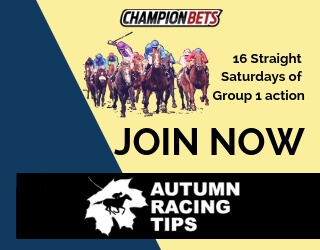 The comp focuses on the feature race meetings each Saturday and during the footy season NRL and AFL tipping comps are also available. Follow this link to join. Same As Sister Sites ~ Ladbrokes and Betstar offer just about everything Bookmaker does, plus more. Best of the Best ~ This racing product pays the highest dividend declared by the three major Australian totes or the Top Fluc (Max bet $250, available on selected events 35 minutes before race time). Best Tote or SP ~ Pays the highest dividend declared by the three major totes or the official starting price (available on all Australian gallops). 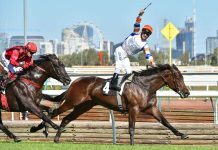 TOP Fluc ~ Pays the top betting fluctuation provided by the Australian Price Network throughout the betting period. SPG ~ Short for “Starting Price Guaranteed” this product pays the higher of the fixed price at the time of your bet or the Top Fluc (for selected Australian gallops). Mid Tote +5% ~ Pays the second highest tote with a 5% bonus added to the dividend (for selected races only). 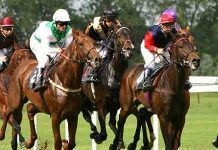 Racing Exotics ~ You can nominate which tote to be paid on racing exotics like Quinellas, Trifectas and Quaddies etc. Pick Your Own Odds ~ Allows punters to increase their odds by selecting the margin, or minimum margin that your runner will win by. Favourite vs Field ~ Similar to lay-betting you can back the field against the favourite of a race. Bookmaker Visa Card ~ Gives members direct access to their account via PayWave, EFTPOS and any ATM. Market Movers ~ When a horse or greyhound has been heavily supported in betting Bookmaker will declare it a market mover and insert a ‘MM’ tag next to that runners name. Novelty Betting ~ Enables wagering on non-sporting events like currents affairs, political elections and reality television. In terms of the user interface I rate the Bookmaker website right up with the best of them. The lay-out is basically identical to that of their sister sites Ladbrokes and Betstar (except for the colour scheme) and it is incredibly easy to navigate. Using the Quickbet keypad you can get your bets on faster than ever, plus members can pre-select their default tote, bet amounts and even personalise the websites tool bar. The racebook includes form guides, race comments, coloured silks, price fluctuations, weather and track conditions. And if a market mover is present that runner will be highlighted with a “MM” tag. Unfortunately there is no live chat facility and it boasts quite a basic design but all the key areas have been covered. Visually it’s very attractive and incredibly user friendly. Bookmakers mobile betting applications have recently gone through a major overhaul and the result is absolutely first-class. The Apps interface is nothing like the website but again the layout and design (apart from the colours) is identical to Ladbrokes and Betstar. All the markets and odds are exactly the same plus all of the websites products and features have been included. Like the website you can configure certain aspects to suit your needs and you can even elect to sign in with a four digit pin for faster access. A handy favourites section allows you to bookmark particular races and sporting events so you can return to them with one touch. And they have added a live video facility for watching sport on the go. The touch screen and finger swiping actions could take some time to master but overall I was extremely impressed. 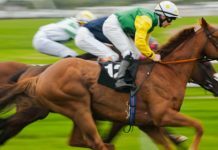 *Racing and sport can be combined in a multi-bet up to 13 legs. Maximum Payout ~ Max payouts aren’t great, they vary between sport and bet-types and are fairly similar to the other corporates. Live Betting ~ Yes, phone 137 888 to place a live bet. Mobile Betting ~ Yes, available on Android and Apple devices. Email Support ~ [email protected] (A direct mail facility is also available on the website).